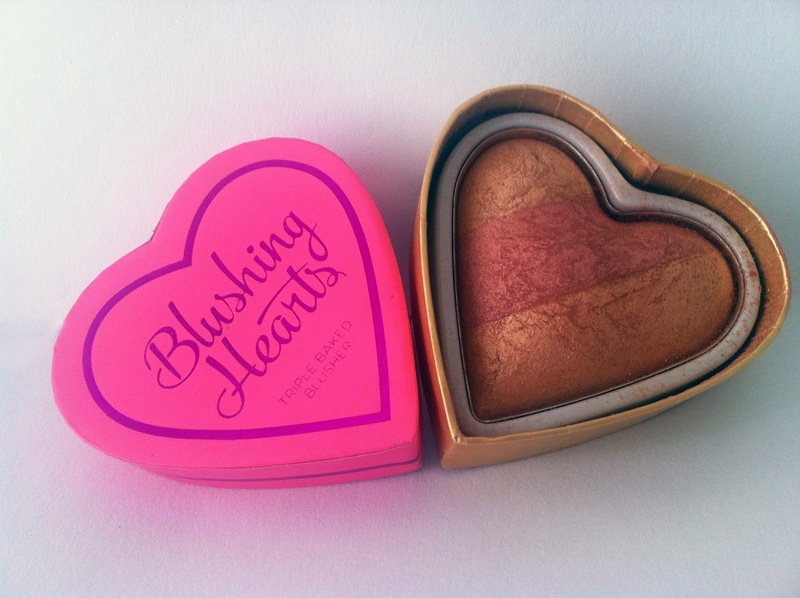 I heart Makeup, Makeup Revolution Blushing Hearts Triple Baked Blusher Review! While I was at the Superdrug Beauty Store opening last month I decided to pick up a new blusher from I heart Makeup. I usually go for pinks rather than bronze-y peach colours but decided to give this a go. I was pleasantly surprised! There are three types and I chose Peachy Keen. Time trialed: Month and a half. Part of Makeup Revolution I knew it would be a purchase that I wouldn’t regret. Thankfully I loved it! The blush has an overall frosty appearance with a sheen, great for picking up your cheekbones and for giving a flush of colour. The three colours separately create great highlight and blush colours or swirl together for a peachy blush. Here are the three tones on my hand. The blush its self is very strong which shocked my pre judgement of non premium beauty products so I’d imagine it will be a lifetime before I actually repurchase. 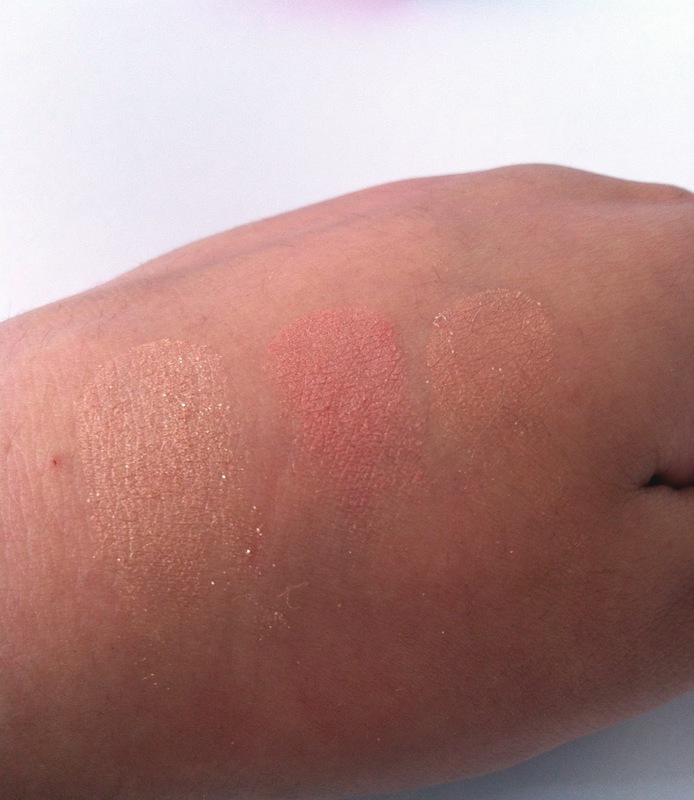 It’s smooth to the touch and isn’t grainy, easy to blend and easy to layer. This has completely replaced my Benefit Hervana blush which I never thought I’d get out of using! However they are both fabulous layered with each other. 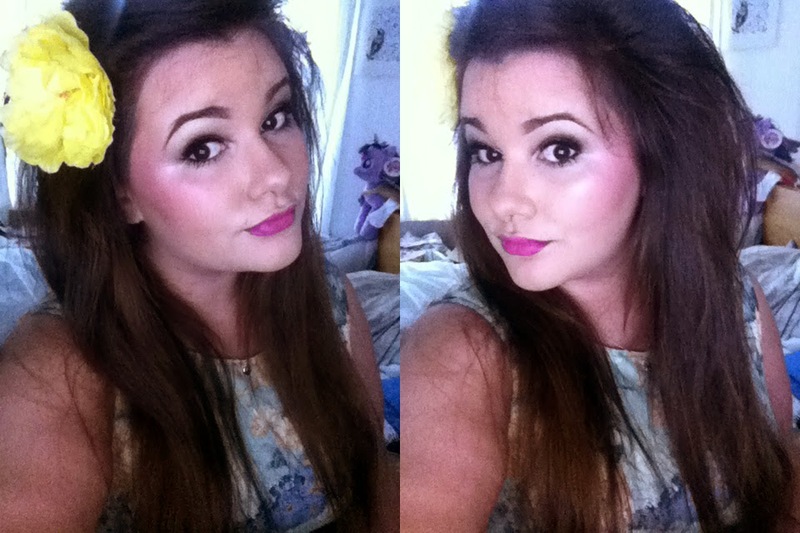 Here it is on my cheeks before I went out. Would I repurchase? Absolutely, that’s if I ever finish the product! Posted on August 27, 2014 August 27, 2014 by sindyydollPosted in Makeup RevolutionTagged bblog, bbloggers, beauty blogger, BLUSH, BLUSHER REVIEW, blushing hearts review, british beauty blogger, makeup, Makeup Revolution, makeup revolution review, Superdrug Beauty Store, too faced dupe. Previous Previous post: Swatch A/W 2014 Collection Press Preview! I know it’s fairly cheap but I’m being so good! haha, don’t tempt me 😥 Made like 5 baskets and everything came to 100 euro! not a bad idea! 😀 I will try thanks ! Thank you! I wasn’t sure at first but when I looked at it in a different light I fell in love! Oh wow this looks great! I think the too faced blush is too over priced!